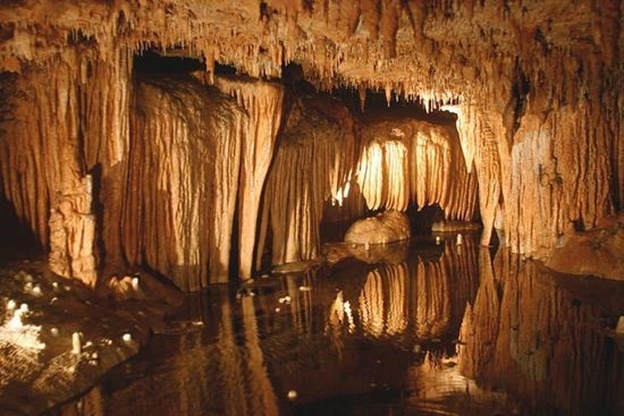 Branson has some of the most fantastic caverns in the state of Missouri. Many of these caverns feature sparkling stalactites and stalagmites that are clinging to the ceilings and floors of the caves that provide a fascinating experience. Some of the amazing sights that you can enjoy while exploring the caves include cave salamanders, cave crickets, and bats that are positioned upside down. If you haven’t gone spelunking, try to visit the caves in Branson that are all interesting to explore which include the Marvel Cave, Talking Rock Caverns, Fantastic Caverns, and the Smallin Civil War Cave. Silver Dollar City made known in part due to the discovery of the Marvel Cave. In fact, Silver Dollar City might not even named. In 1894, the cave became a tourist attraction in the area and by 1960,it became the focal point of the premier theme park in Branson. Marvel Cave is the deepest cave in Missouri and can be explored for 60 minutes basic tour that leaves every 30 minutes or for 90 minutes lantern light tour once a day. The tour ticket to Marvel Cave includes a visit to Silver Dollar City. Of all the best caves in Branson, Marvel is the nearest to downtown area. To make an enjoyable visit to the cave, plan an entire day tour of exploring the gorgeous cave and the Silver Dollar City. Talking Rocks Cavern which is originally known as Fairy Cave is another fantastic cavern that you can visit in Branson. This beautiful cave is located in Stone County with just 25 minutes drive from Branson. The cavern features spectacular natural beauty like curtain and bacon formations, but now devoid with typical cave life due to the sealing of the entrance to the cave when it was first discovered. The daily tour takes about an hour that departs frequently throughout the day. Discovered in 1862 by a curious dog, Fantastic Caverns is a fascinating sight that entertained many explorers for over a century. Due to the fragility of the cave, guests explore the caverns in comfortable jeep-drawn trams. This beautiful cave is filled with natural spectacles such as massive columns, pearls, flowstones, and more. It is the perfect place to bring the whole family while you’re visiting Branson. The tour takes about an hour and departs every 20 to 30 minutes. Smallin Civil War Cave is another cave in Branson that was first documented in the Ozarks. The cave was described and lauded by explorer Henry Rowe Schoolcraft in his 1818 journal. This civil war cave was home to Osage Indians (possibly included the Cherokee tribe as well). There is also evidence that the cave was used during the Civil War for war-related activities. You can explore the cave in a 1-hour or 2-hour tour, depending on your fitness. To experience a great cavern getaway this season, visit some of the best caves in Branson and discover the fun of cavern hopping in the Ozark Mountains.